Professor Coplan has been a Professor and Associate Professor of Law at the Elisabeth Haub School of Law at Pace University and Co-Director of its Environmental Litigation Clinic since 1994. Prior to joining the Pace faculty, he practiced land use and environmental litigation for eight years with the New York City firm of Berle, Kass & Case. As the principal outside counsel for Riverkeeper, Inc., Professor Coplan and the Pace Environmental Litigation Clinic have brought numerous lawsuits enforcing the Clean Water Act and other environmental laws. These cases include Catskill Mountains Chapter, Trout Unlimited v. City of New York, in which the Second Circuit Court of Appeals held that the transfer of polluted, silt-laden water from one watershed to another required a permit pursuant to the federal Clean Water Act. Professor Coplan has also participated in litigation and Clean Water Act permitting proceedings involving several Hudson River power plants, including the proposed Bowline 3 power plant, and the Lovett, Roseton, Danskammer, and Athens plants. 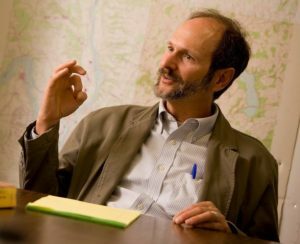 In addition to Co-Directing the Environmental Litigation Clinic, Professor Coplan teaches courses in Environmental Law and Constitutional Law. He is recently the author of the chapter on Citizen Suits in Environmental Litigation, Law and Strategy (ABA, Cary Perlman, Ed. 2010) and the chapter on Takings Law in Handbook on Constitutional Environmental Law (ABA, James May, Ed. 2011). Before entering private practice, Professor Coplan clerked for The Honorable Warren E. Burger, Chief Justice of the United States, and The Honorable Leonard I. Garth, Circuit Judge of the United States Court of Appeals for the Third Circuit. Professor Coplan received his J.D. degree from Columbia Law School in 1984 and his B.A. degree from Middlebury College in 1980.